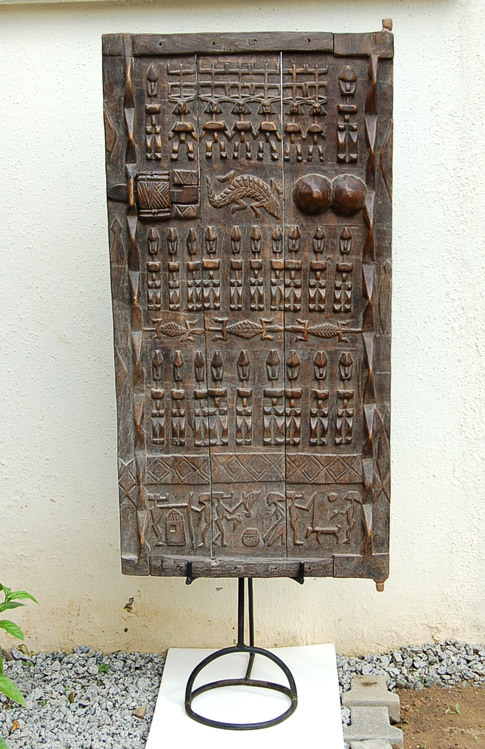 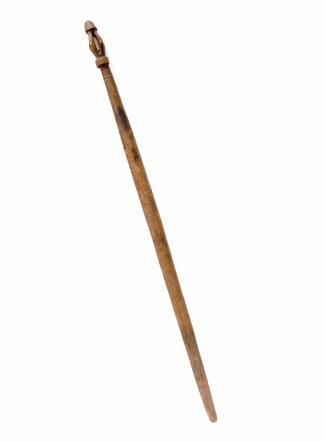 The iconic Dogon Door: a sophisticated and beautiful art piece to display in modern environments. 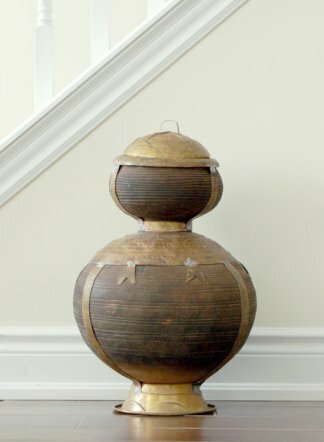 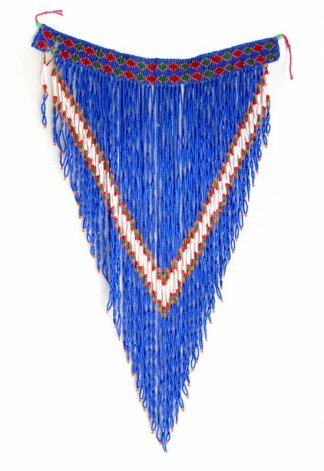 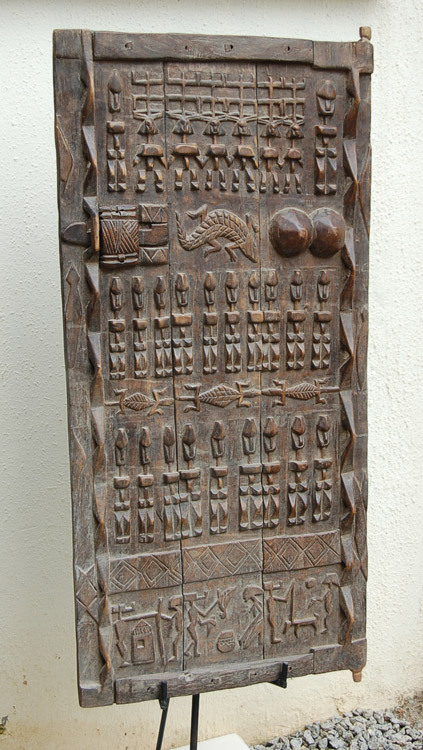 The Dogon Door: a sophisticated and beautiful art piece to display in modern environments. 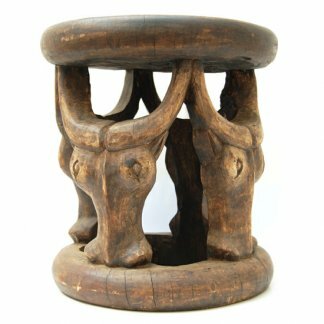 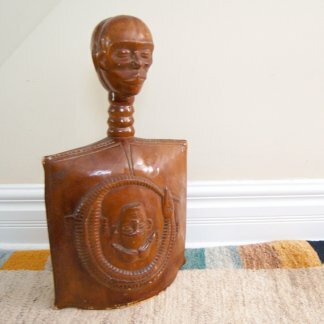 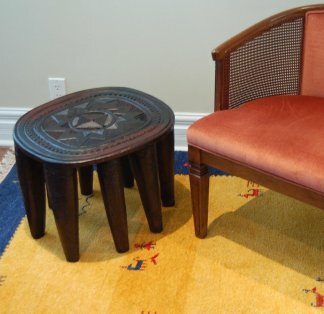 This iconic piece of African art and tradition features meaningful abstract and symbolic imagery carefully carved onto each piece. 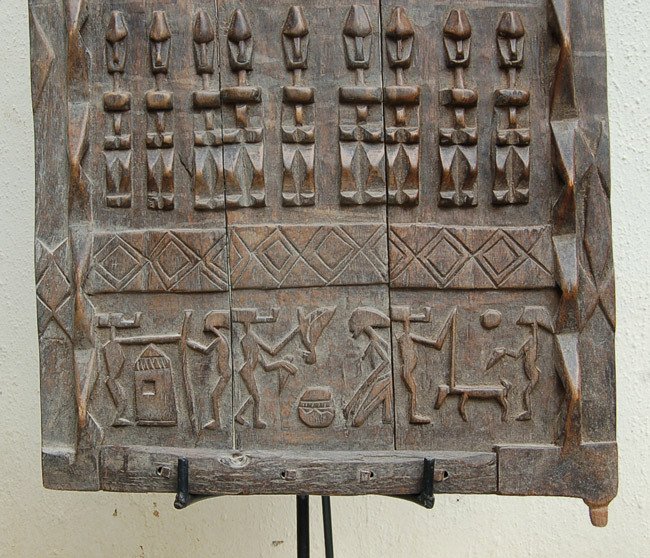 The top row of symbols depict dancers wearing the Dogon Kanaga headdress, flanked by a representation of a couple—the two founding ancestors of the Dogon. 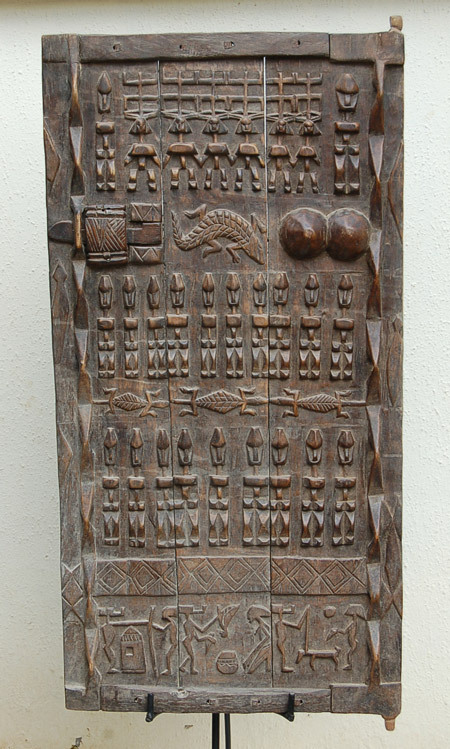 The second row contains the door latch, along side an abstract depiction of a crocodile (representing strength) and a pair of breasts (representing fertility and female energy). 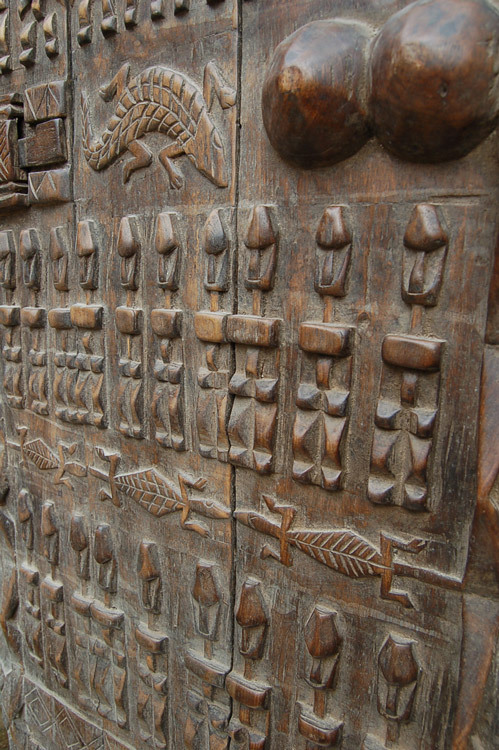 The next three rows depict figures of the ancestors as well as images of geckos/lizards (representing good fortune/luck). 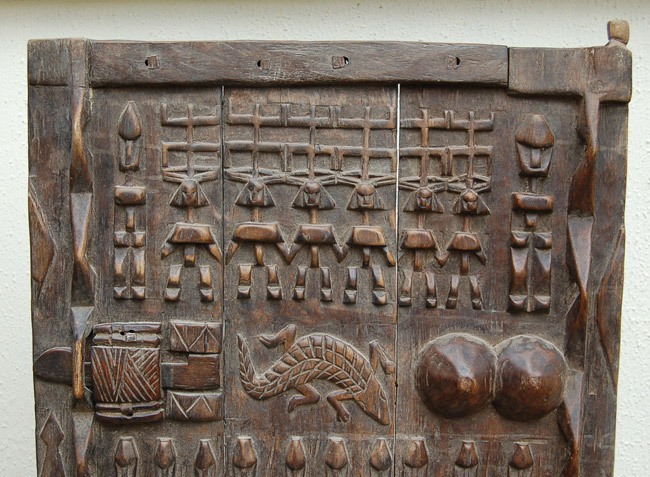 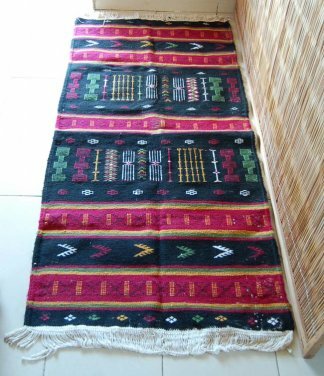 The final row depicts scenes of life in the village. 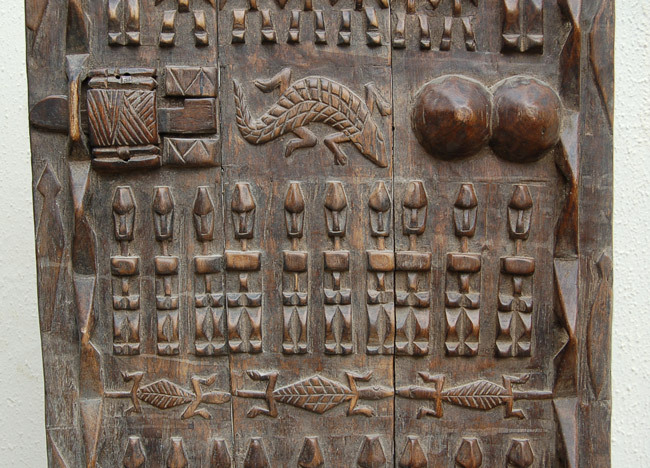 Abstract linear patterns throughout the door represent the energy of water and light.